Many of these emporiums have shop-in-shop brand boutiques, which effectively are permanent exhibition spaces, an economical alternative to the cost of designing, building and staffing a watch fair booth that will be dismantled in a matter of days. Watch brands also are sinking millions into boutiques in London. This month, Tag Heuer and Panerai (another former Salon QP exhibitor) will become the latest brands to open stores in central London. 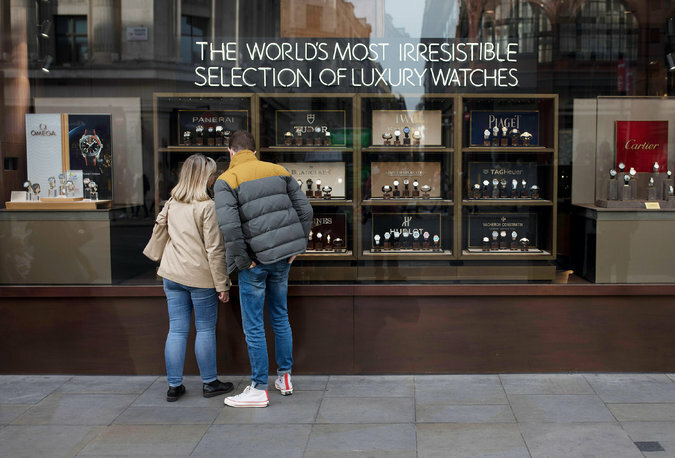 Big-name brands without a London shop, such as Audemars Piguet, are now a minority. Brands report a focus on retail activities as a significant factor in withdrawing from Salon QP. The British managing director of a Swiss watch brand, who declined to be identified because of the sensitivity of the topic, described a lot of visitors to the London event as “tire kickers,” adding that customers who are really interested in buying will go to a quality third-party retailer or a brand boutique. Retail showcases like The Watches of Switzerland flagship on Regent Street in London have drawn attention from some regional watch fairs. Salon QP is not the only watch fair seeing brands take their spending power elsewhere. According to industry experts, Baselworld, the world’s largest watch and jewelry fair, had 200 fewer exhibitors in 2017 than it had in 2016, with many of the withdrawals blamed on the market slump and the show’s costly participation fees. One of the no-shows was the British brand Bremont, which decided to have its own event in a London townhouse. Once a Salon QP regular, Bremont also will not be at the 2018 show. The Baselworld organizers have acknowledged the diminishing participation, and announced that the 2018 show would run just five days, March 22 to 27, rather than the seven days it had scheduled in the past. The Waltz No. 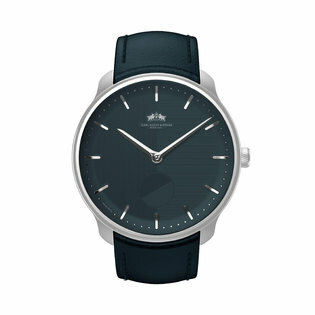 1 Blue Danube from Carl Suchy & Söhne is to be introduced at Salon QP this week. Some other shows also have been making changes. The Salon International de la Haute Horlogerie — a showcase for Richemont brands such as Cartier, IWC and Roger Dubuis — opened the 2017 show’s final day to the public. But not all regional fairs are struggling. Dubai Watch Week, which is supported by the foundation, has grown to more than 30 exhibiting brands from the 10 that participated in its inaugural event in 2014. This year the fair, scheduled for Nov. 16 to 20, expects to attract more than 4,000 visitors; it drew 500 three years ago. Its organizers say they are focusing on a young audience. “Consumer habits have evolved and we have noticed that purchasing power has become much younger and more sporadic,” said Melika Yazdjerdi, director of Dubai Watch Week. “The market over all has had to adapt to a diverse, younger demographic, and we have been catering to a more interactive and dynamic audience through our programs. “If we only target existing collectors or consumers, it would leave no room to showcase new and exciting projects or encourage a younger audience to attend the show,” she said.